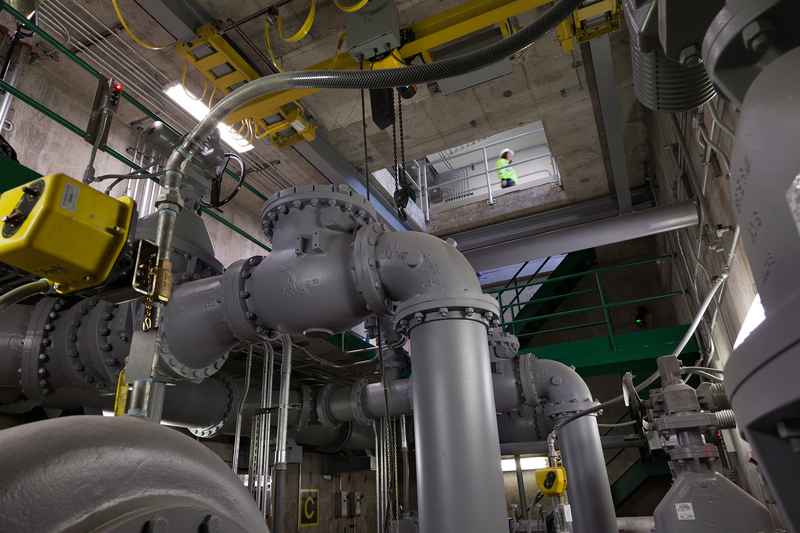 Madison Metropolitan Sewerage District’s new Pumping Station 15 has earned the first Envision Gold Award for sustainable infrastructure in the State of Wisconsin. The Pumping Station 15 project was completed with formal acceptance by the Madison Metropolitan Sewerage District Commission in March; the station serves Middleton including growing areas such as Bishops Bay and much of the Town of Westport. Interested community members are encouraged to sign up for tours at the free event here: http://www.madsewer.org/Projects/Pump-Station-15. Mucha will be joined by Middleton Mayor Gurdip Brar and City of Madison Parks Superintendent Eric Knepp for an official “valve opening” ceremony and brief project overview shortly after 11 a.m. on May 5 at Marshall Park, 2115 Allen Boulevard. The Marshall Park location has served as a pumping station since 1974. The area was originally served by Pumping Station 5 and was among the early connections to Madison Metropolitan Sewerage District after it was formed in 1930 to protect public health and the environment. At the time, area residents used a combination of septic systems and private sewers that flowed into area surface waters. Construction of the original pumping station at the site provided a means to push wastewater up the hill on Allen Boulevard to University Avenue where it could connect with an interceptor line and make its way to Nine Springs Wastewater Treatment Plant. Efficient use of resources. Reducing energy waste and consumption was a key objective of upgrades to the 1970’s-era pumps and mechanical equipment. By installing energy-efficient variable speed pumps and other advanced equipment, Pumping Station 15’s energy consumption has been cut by about 20 percent. In addition, solar panels are now providing close to 10 percent of the station’s power needs. Greater resilience. Given the pumping station’s location at the bottom of a hill and close to Lake Mendota, hydrologic modeling was used to mitigate the prospect of more severe and frequent flooding in the years ahead. The pumping station was designed in accordance with greater precipitation in mind and is situated more than 2 feet above the worst-case future flooding scenario. Enhancements to public space. 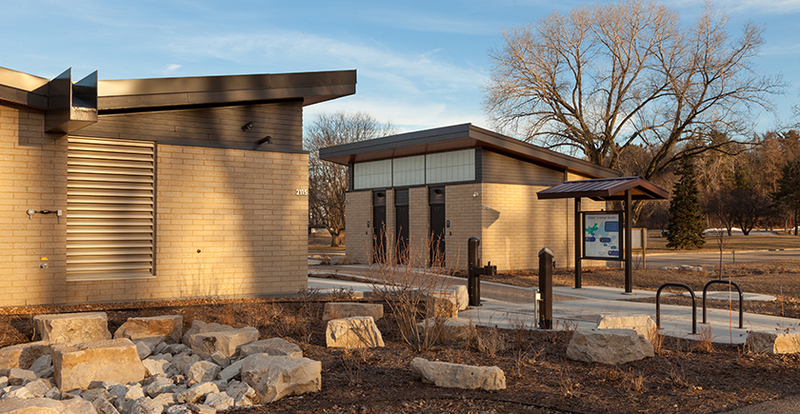 Beyond reducing odors and improving the aesthetics of the site, collaboration between the project team and community resulted in much-needed facilities, including a drinking fountain and restrooms. The upgrades are welcome improvements for those who use the adjoining athletic field as well as the busy boat ramp. Bike racks, a bike repair stand and an aquatic invasive species boat wash station were also installed with the generous support of local businesses. Stormwater management. The project site contains two bioretention basins and a bioswale designed to reduce the amount of silt and other pollutants reaching Lake Mendota. The bioretention basins plus changes to the grading of the site resulted in a 31 percent improvement in the pumping station site’s water storage capacity. With current average daily volume of 1.3 million gallons per day, the station’s increased capacity of 8.8 million gallons per day should provide capacity through 2045. Project partners include Baxter & Woodman Consulting Engineers, engineering; Potter Lawson, architectural design; Saiki Design, landscape architecture; Kabbes Engineering, environmental engineering; and Miron Construction, general contractor.